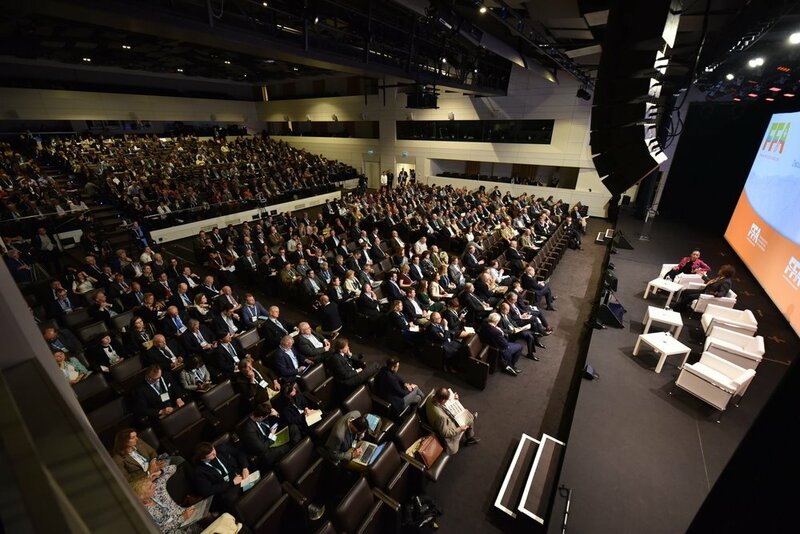 Heather was invited by Janez Potocnik, chairman of FFA, Forum For Agriculture, 2019 to be a Keynote speaker in Brussels, Belgium - The Next Generation event on the 9th of April 2019. Heather’s 30 minute speech discussed VBites Foods, veganism and the future of plant based foods in the agriculture industry. The audience included people from the European Parliament, Council and Commission, Businesses, institutes and NGOs. This important event combined agriculture and environment, enabling open dialogue to create sustainable solutions. "My key role in life is problem-solving unsolvable things that people think are problematic, but there are simple solutions. We had the answers 25 years ago, let's not be here in the next 10 years in the same situation and lets minimise the devastation on the marine eco system." "The simple solution for solving a number of issues is that every single person goes vegan." More than 1300 people registered for the event and you can visit FFA’s Facebook or FFA’s Twitter for more information.